James Jackson, who is white, told police that he traveled from Baltimore to carry out the attack, and that the slaying was intended to be practice for other assaults on black people. He spoke in a calm and collected manner as Judge Laura Ward questioned him in Manhattan criminal court, saying “that’s true” when asked whether he was armed with a sword and two knives when he began hunting black people on the streets of Midtown. The plea came several weeks after Ward ruled that jurors would hear Jackson’s detailed confession if the case had gone to trial. Jackson’s attorneys said he pleaded guilty against their advice, aware he would face a mandatory life sentence. 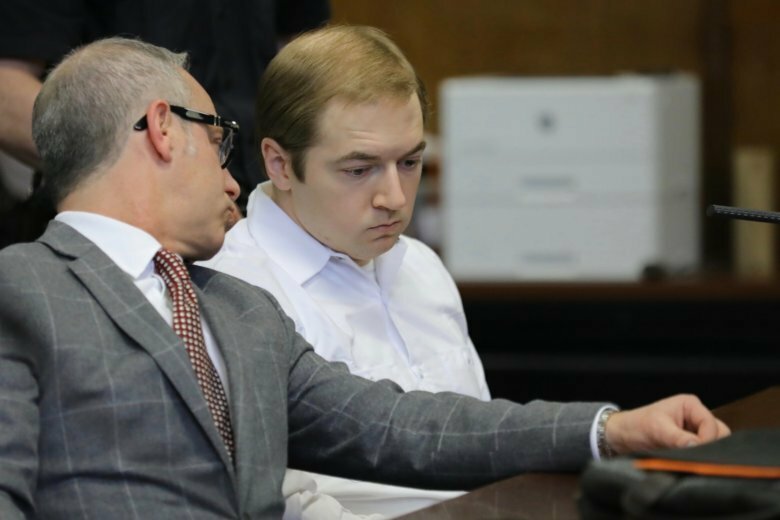 In a 2017 jailhouse interview with the Daily News, Jackson said he intended the stabbing as “a practice run” in a mission to deter interracial relationships. One of Jackson’s attorneys, Frederick Sosinsky, told the judge Wednesday that New York police improperly interviewed Jackson several weeks ago without notifying his defense lawyers. He said the officers who conducted the interview were not been assigned to the case and work in the intelligence division of the police department. Sosinsky called the interview “shocking to the conscience” and in violation of state and federal law. He declined to address Sosinky’s claim that the New York Police Department has made a “practice” of conducting such unauthorized interviews but said his office will conduct a preliminary inquiry into the matter.